Ice and drinking water clear and good taste. Q: will this be in stock before your free shipping option ends? A: I don't honestly know. A: I couldn't get the compatible filter to work in my refrigerator and ended up having to exchange it for the factory one. 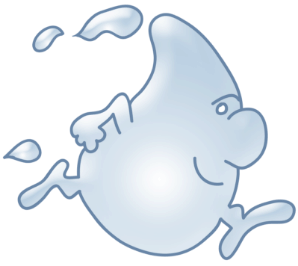 A: The Water Sentinel is a compatible version that is ANSI standard 42 for taste, odors and particulates. 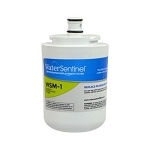 NSF/ANSI Standard 42 are: chlorine (taste and odor), chloramines, iron, manganese, hydrogen sulfide, pH neutralization and zinc reduction. NSF/ANSI Standard 53 are: heavy metals (arsenic, cadmium, chromium, copper, lead, mercury and selenium), inorganics (fluoride and nitrate plus nitrite) and volatile organic chemicals (chloroform surrogate as well as individual organic chemicals). Q: I see the Amana filters WF401 are out of stock. 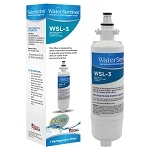 Is the Water Sentinel WSA-1 Refrigerator Filter a direct replacement for the Amana WF401S. And if so, does the filter have the same specs?